Beth Adler is a Senior Investment Officer in the Asia and Middle East Team at USAID's Development Credit Authority (DCA) and has been with USAID for four years. She sources, structures, and closes transactions that use DCA's partial credit guarantee tools to further the Agency's development objectives, working closely with USAID missions, financial institutions, private companies, and other donors. Prior to joining the DCA team, Ms. Adler worked on trade facilitation with The Whitaker Group, creating strategic products for clients interested in trade and investment in Africa. 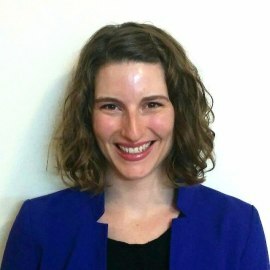 Ms Adler holds an MA in International Development and International Economics from the Johns Hopkins School of Advanced International Studies (SAIS) and a BA from Brown University.